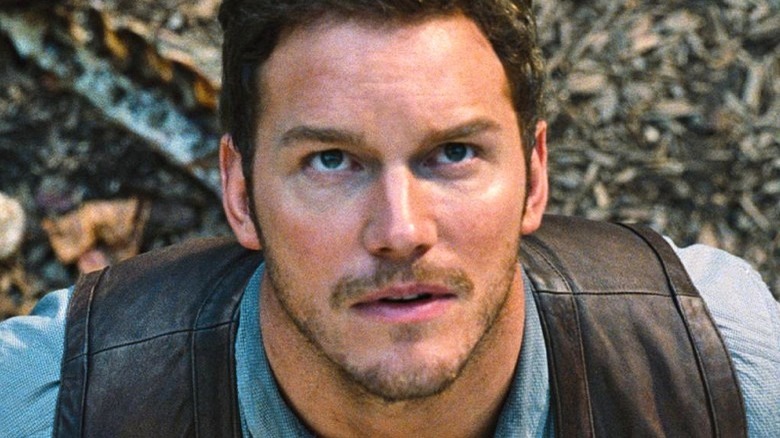 The dinos and ambitious dudes of the Jurassic World film series aren't going anywhere any time soon. According Jurassic World: Fallen Kingdom producer and co-writer Colin Trevorrow, the upcoming sequel pic will do more than just keep the frenzied fun and high-stakes missions of the new franchise alive; it will also set up a third installment to complete the Jurassic World trilogy. Speaking in an interview during an international press junket for Jurassic World: Fallen Kingdom (via SlashFilm), Trevorrow revealed that he always knew how he envisioned the Jurassic World story to play out, and that was through a collection of three films. "I remember telling Steven [Spielberg] even while we were making the first movie, 'This is the beginning. Here is the middle. And here's the end of the end. This is where we want to go,'" explained Trevorrow. "I feel like that kind of design is crucial to a franchise like this if you really want to bring people along with you and make sure they stay interested. It needs to be thought through on that level. It can't be arbitrary, especially if we want to turn this into a character-based franchise with people who you lean in to follow what they're going to do." Trevorrow continued, mentioning that where the first Jurassic World film is "about how there's money on the table, there will be somebody who will do the worst imaginable things, or in a lot of case, the dumbest imaginable thing in order to get that money," Jurassic World: Fallen Kingdom is about greed. "This film focuses a little bit more on our responsibility for these animals that we've made as a result of that greed, but also just the darkest and worst instincts of humans, again, if there's money involved," he said. This will all come to a head at the end of Jurassic World: Fallen Kingdom, with a conclusion that doesn't mimic the endings of Jurassic Park movies, but instead will leave fans longing to know what will happen in Jurassic World 3. "At the end of this movie, it's not a cliffhanger, but it's designed for people to want to know what's going to happen next, whereas the earlier Jurassic Park movies had pretty clear definitive endings. They were much more episodic," said Trevorrow. "In working with Derek Connolly, my co-writer, we were also thinking about where it was gonna go in the future." Jurassic World: Fallen Kingdom sees Chris Pratt and Bryce Dallas Howard reprise their roles as Owen Grady and Clarie Dearing. The pair will be joined by B.D. Wong as Dr. Henry Wu, James Cromwell as Benjamin Lockwood, Rafe Spall as Eli Mills, and Justice Smith and Danielle Pinea as members of the Dinosaur Protection Group. Jurassic Park alum Jeff Goldblum returns for a cameo as Dr. Ian Malcolm. Here's the official synopsis for the sequel: "It's been four years since theme park and luxury resort Jurassic World was destroyed by dinosaurs out of containment. Isla Nublar now sits abandoned by humans while the surviving dinosaurs fend for themselves in the jungles. When the island's dormant volcano begins roaring to life, Owen (Chris Pratt) and Claire (Bryce Dallas Howard) mount a campaign to rescue the remaining dinosaurs from this extinction-level event. Owen is driven to find Blue, his lead raptor who's still missing in the wild, and Claire has grown a respect for these creatures she now makes her mission. Arriving on the unstable island as lava begins raining down, their expedition uncovers a conspiracy that could return our entire planet to a perilous order not seen since prehistoric times." Jurassic World: Fallen Kingdom is set to arrive in theaters on June 22, 2018.